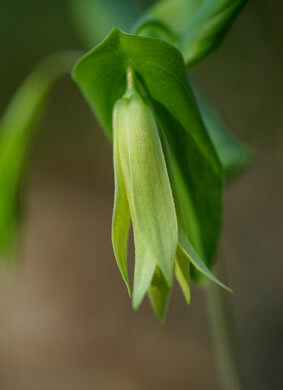 Your search found 10 image(s) of flowers of Bellwort species. 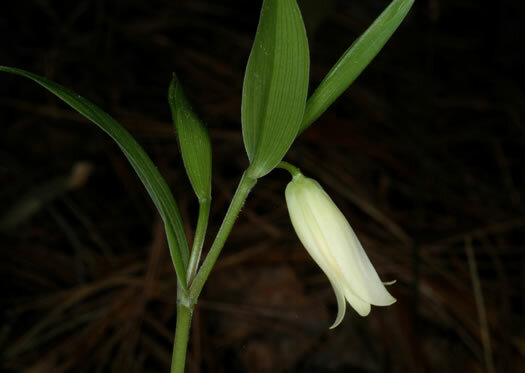 Can be distinguished by the orange granular glands on the inside of tepals, per Wildflowers of the Southern Mountains. 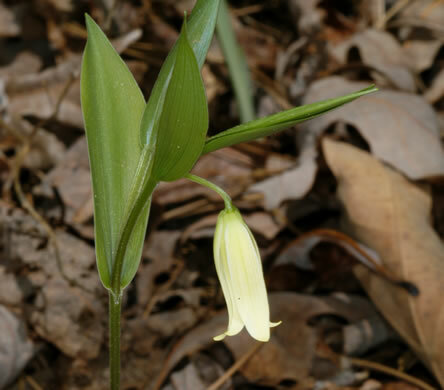 Resembles Large-flowered Bellwort but its petals and sepals aren't twisted, per Wildflowers & Plant Communities of the Southern Appalachian Mountains and Piedmont. 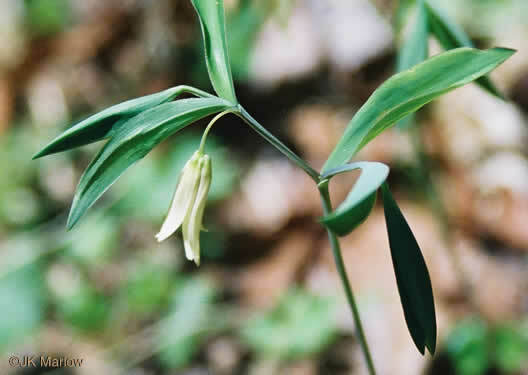 A solitary light yellow flower about 1" long, per Wildflowers of the Southern Mountains. 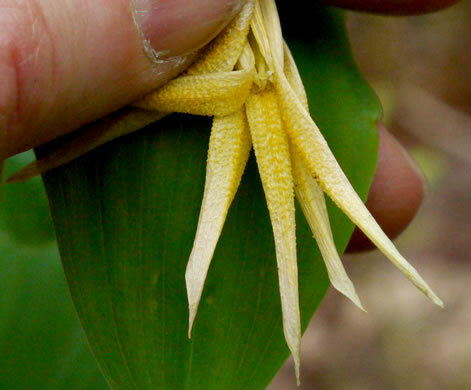 A large, leafy, perfoliate bract on the pedicel so the flower appears terminal, per Vascular Flora of the Carolinas. 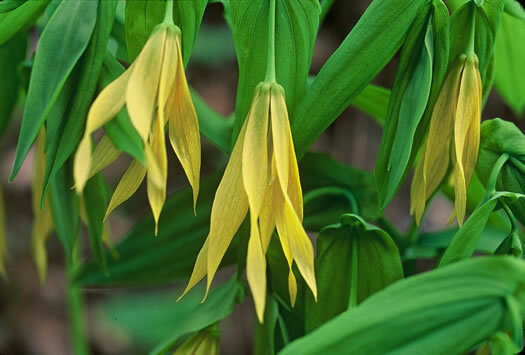 Tepals pale to golden yellow, twisted, overlapping, smooth within, per Wildflowers of Tennessee. 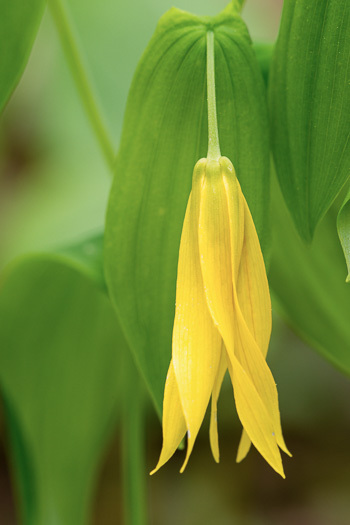 Narrow, butter yellow, twisted sepals & petals appear limp, even when fresh, per Wildflowers & Plant Communities of the Southern Appalachian Mountains and Piedmont. 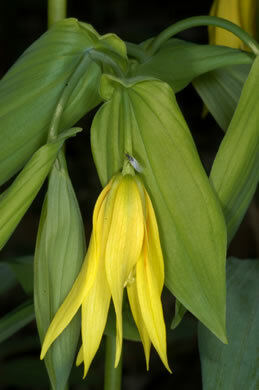 Flowers about 1.5" long and a deeper golden yellow than U. perfoliata, per Wildflowers of the Southern Mountains. 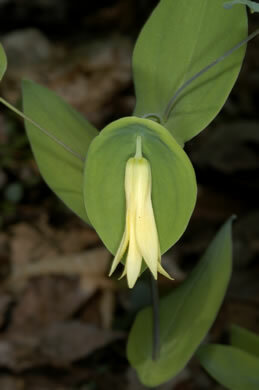 1-3 light yellow flowers, 3/4-1" long; styles separate for half their length, per Wildflowers of the Southern Mountains. 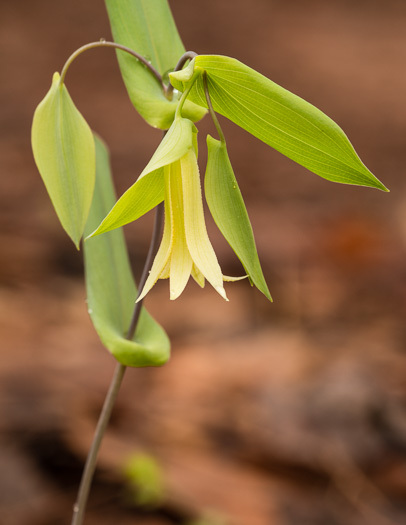 Found in dry to moist forests on acid soils, usually in openings, per Guide to the Wildflowers of SC. One flower per stem, pedicels bractless, per Vascular Flora of the Carolinas.